With bank FD interest rates around 6.7-7 per cent, investors looking for higher returns for their capital often find a good choice in mutual funds. Mutual funds or bank FD (fixed deposits)? Financial planners usually recommend mutual fund investment to investors who have at least a moderate degree of risk appetite. Bank FDs, on the other hand, are more suitable for rather conservative investors, or those who are not willing to risk their money for an opportunity to earn higher returns. With bank FD interest rates around 6.7-7 per cent (public and private sector banks, for tenure of three years), investors looking for higher returns for their capital often find a good choice in mutual funds. According to credit ratings agency, CARE Ratings, mutual funds rival bank deposits with substitution taking place in 2017-18. Equity funds are continuing to grow - an indication that the LTCG (Long Term Capital Gains) effect is not significant. "The increase in the equity schemes including growth is interesting because post the budget announcement of LTCG on equity schemes, it was expected that the appetite for such schemes would diminish. Quite clearly the higher returns expected from equity in a rather buoyant market would be the main motivating factor here," the agency said. 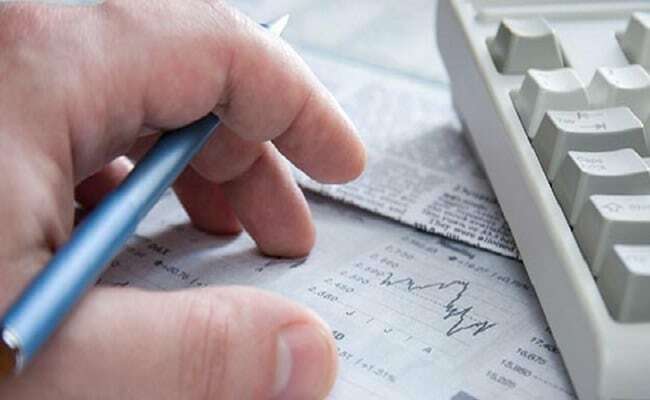 From financial year 2018-19, a 10 per cent tax is applicable on returns above Rs 1 lakh from equity and equity-oriented mutual funds held for more than a year. For the purpose of income tax calculation, a mutual fund with 65 per cent or more allocation to equities is termed an equity mutual fund. In other words, LTCG - which means returns in excess of Rs. 1 lakh from equities or mutual funds held by an investor for a long period, i.e. more than one year - is taxed at the rate of 10 per cent. "Normally when interest rates increase, there is a tendency for the market to offer better returns to investors relative to bank deposits where the increase in rates is less elastic and of a smaller magnitude," according to CARE Ratings. The Reserve Bank of India (RBI) hiked the repo rate by 25 basis points, or 0.25 per cent, to 6.25 per cent after the June 4-6 meeting. The central bank is expected to lift the key interest rate again in the final three months of this year, according to a poll of economists by news agency Reuters, but over one-third of them predicted a hike as early as at the next meeting in August. Now, bank FDs of amount up to Rs. 1 crore with a term of one year fetch interest at a rate ranging from 6.6 per cent to 7.10 per cent in major banks. Mutual fund investments, however, are marked-linked. This means the return varies from one fund to another. While FD is the safest form of investment, it has a limited upside return. Investors looking for inflation-proof returns can alternatively invest in debt funds or large cap equity funds with medium to moderate risk, says Rahul Agarwal, director, Wealth Discovery/EZ Wealth. Mutual funds can give better returns if an investor chooses to stay invested for a longer term with a minimum of three to five years as the investment time horizon, he adds. "There are mutual fund products available in the marketplace for investors with low- to moderate-risk appetite... Each individual's investment goal is to maximize his or her return with minimum amount of risk. FDs are the safest among investment products. However, this safety comes at a cost of much lower returns which are barely able to beat inflation. It is therefore advisable to have a diversified portfolio with both FD and mutual funds investments represented adequately," adds Mr Agarwal. Investment in a mutual fund entails certain risks. All mutual fund institutions are required to classify their funds in certain categories depending on the degree of risk that the investments carry. This, among other factors, enables an investor to select a mutual fund. "Mutual funds today are universal vehicles where almost every category of investors are participating. The MF industry has products ranging from sovereign risk and extremely low-risk to high-risk. It all depends on the needs of the investors on the basis of the product he chooses. If one wants low-risk, one can go for fixed income mutual funds. And if you are fine with risk and want higher returns, there are equity funds to invest in," says Raghvendra Nath, managing director, Ladderup Wealth Management. "Even within equities, mutual funds represent the highest quality vehicles compared to other alternatives. Investing in an equity fund is much less riskier than investing directly in stocks. In short, investors of kinds of risk appetite can invest in mutual funds and choose products that suit their risk profile." The biggest advantage in MF investing is the liquidity available in open-ended schemes, says Lakshmi Iyer, CIO (debt) and head-products, Kotak Mutual Fund. "In case of most debt schemes, the pay-out cycle is t+1 i.e. you put in redemption today and you get your funds the next day... Bottom-line is volatilities are a part of any investment journey in financial asset classes like equities or fixed income," she says. "The key is to invest with cognizance of risks involved and not take shortcuts while making an investment decision."